The mayor counters that his predecessor, Rudolph Giuliani, went ahead with the New York Marathon two months after the Sept. 11 terrorist attacks. NEW YORK — Mayor Michael Bloomberg came under fire Friday for pressing ahead with this weekend’s New York Marathon in a city still reeling from Superstorm Sandy, with some New Yorkers saying that holding the race would be insensitive and tie up police, generators and other resources when many are still suffering. 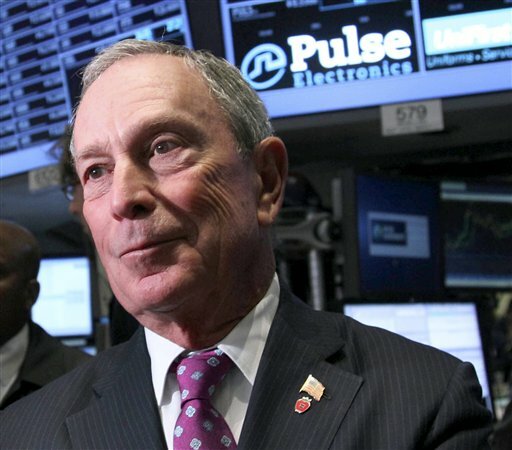 At a news conference, Bloomberg defended his decision as a way to raise money for the stricken city and boost morale six days after Sandy flooded neighborhoods, knocked out power to hundreds of thousands homes and businesses and killed at least 39 people. Noting that street lights should be back on in Manhattan by midnight Friday and parts of the transit system are up and running again, he gave assurances that the race would not take away police officers and other resources needed in the recovery. One of the world’s pre-eminent road races, the New York Marathon generates an estimated $340 million into the city. This time, the marathon’s sponsors and organizers have dubbed it the “Race to Recover” and intend to use the event to raise money for the city to deal with the crisis. New York Road Runners, the race organizer, will donate $1 million and said sponsors have pledged more than $1.5 million. The course runs from the Verrazano-Narrows Bridge on hard-hit Staten Island to Central Park, sending runners through all five boroughs. The course will not be changed, since there was little damage along the route. Police Commission Raymond Kelly said police officers will not be taken off storm-recovery duty to work the marathon. He said the estimated 2,000 officers on the marathon route come in on their days off, on overtime, while those on storm duty work extended shifts on their regular work days. “People who are engaged in recovery work and security work, those numbers will remain essentially the same,” he said. Michael Sofronas of Manhattan used to run the marathon and has been a race volunteer for four years, serving as an interpreter for foreign runners. But he said he won’t volunteer this year. A Swede who arrived in New York this week to run in the marathon sided with the mayor. Adam Shanker of Short Hills, N.J., said he moved his family from his dark and cold house to a Manhattan hotel, only to learn they were being kicked out Friday to make room for someone with reservations for the marathon.